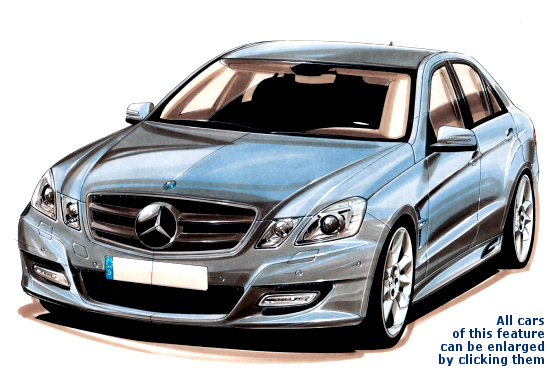 specialists of Lorinser showed their E-class conversion by means of two drawings first. Past we used them for an article, they sent us three photos of the car (click the thumbs at the right). 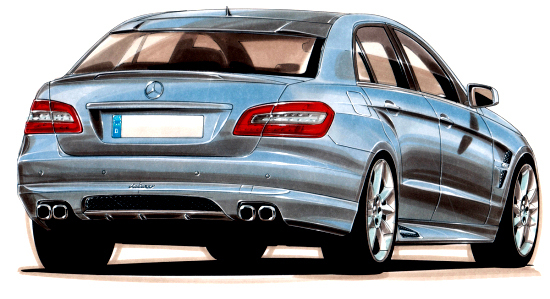 As the they indicate, their E-class will be a bit more striking than the one of Brabus. The top model the E 500 is going to generate 435 hp. Also some chips to tweak the diesel engines are announced to leave the laboratories soon. And, there are even things Brabus don't have for the E-class: A sports grille with Mercedes star, head light covers and a roof spoiler! Prospective buyers get delivered with Lorinser items for the W212 from May on.